Simcha Rotem, last surviving fighter from the 1943 Warsaw Ghetto uprising by Jewish partisans against the Nazis, dies at 94. 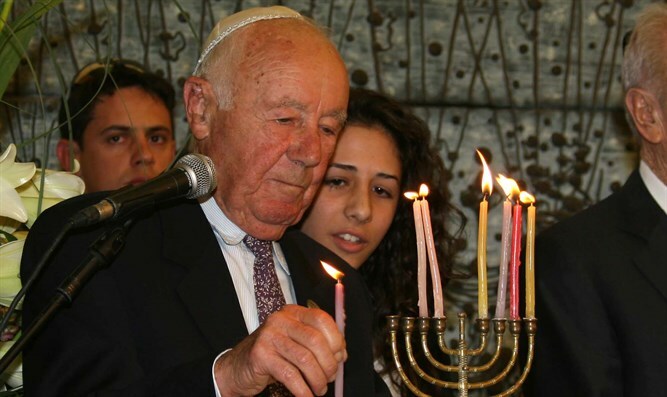 The last surviving fighter from the 1943 Warsaw Ghetto uprising by Jewish partisans against the Nazis died on Saturday in Israel at the age of 94. Simcha Rotem, who was born in Warsaw in 1924 as Kazik Ratajzer, served in the Jewish Fighting Organization that staged the uprising as the Nazis conducted mass deportations of residents to the death camps. Speaking at a 2013 ceremony in Poland to mark the 70th anniversary of the uprising, Rotem recalled that by April 1943 most of the ghetto's Jews had died and the 50,000 who remained expected the same fate. Rotem said he and his comrades launched the uprising to "choose the kind of death" they wanted. "But to this very day I keep thinking whether we had the right to make the decision to start the uprising and by the same token to shorten the lives of many people by a week, a day or two," Rotem added. Thousands of Jews died in Europe's first urban anti-Nazi revolt, most of them burned alive, and nearly all the rest were then sent to Treblinka. President Reuven Rivlin eulogized Rotem on Saturday night. “This evening, we part from Kazik, the young man who became Simcha Rotem, the last of the Warsaw Ghetto fighters. Kazik went back to the ghetto in 1942, at the age of 18, three months after his parents sent him to Radom so he could escape the fate of most Polish Jews. He heard what was happening in the ghetto and had to be there,” he said. “Thank you for everything, Kazik. We promise to try, every day, to be worth of the name ‘human being,’” the President concluded.